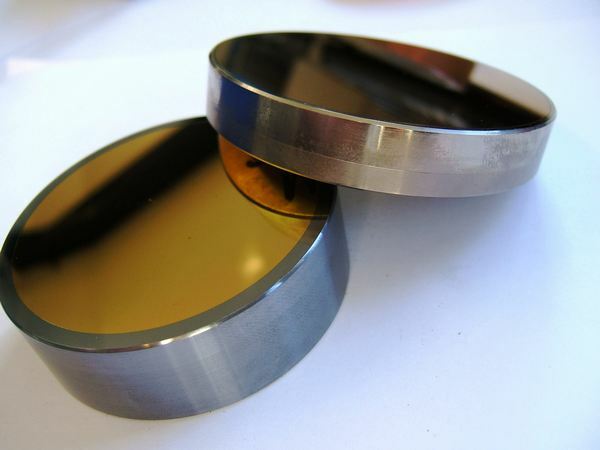 MaxR high reflectivity coatings for CO2 lasers are made on our copper or aluminium mirrors. There are situations e.g laser gain media, when even tiny losses are a problem (such as cavity fold mirrors) and an enhanced (or MaxR) coating is essential. Our MaxR coated mirrors are optimised for use as CO2 laser cavity mirrors BUT can also be used as beam delivery mirrors outside the laser resonator, such as in flying optics systems or as "table mirrors". Our MaxR coating is particularly rugged and customers tell us it is the most durable mirror coating they have used. It withstands multiple cleaning and is very adherent. Our MaxR coating offers excellent resistance to the darkening effect of UV radiation generated in gas laser discharges, making it an excellent coating for cavity optics such as in CO2 lasers. These mirrors have a long operating life and a long shelf life. The sides, edges and rear of the mirror are covered with electroless nickel, preventing it reacting with the laser gas and preventing the substrate from diffusing into the coating over a period - a problem we have seen with competitor’s copper mirrors. MaxR coating is available on our copper substrate mirrors. 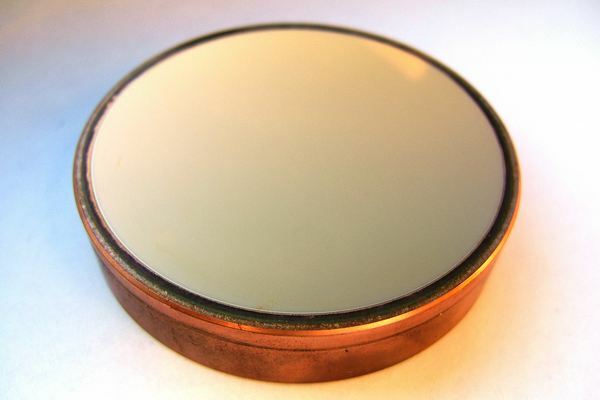 Internal water cooling is recommended for resonator mirrors and water cooled copper mirrors are the product of choice for high power fold optics. For more information see our technical document Thermal Behaviour of CO2 laser optics. A series of thin film, high and low refractive index materials are deposited onto the polished substrate in a vacuum coating chamber. This can enhance the reflectivity at the specified wavelength and angle of incidence to greater than 99.8%. Such high levels of reflectance needs sophisticated calorimetric measurement to ensure specifications are met. We can do this in-house. 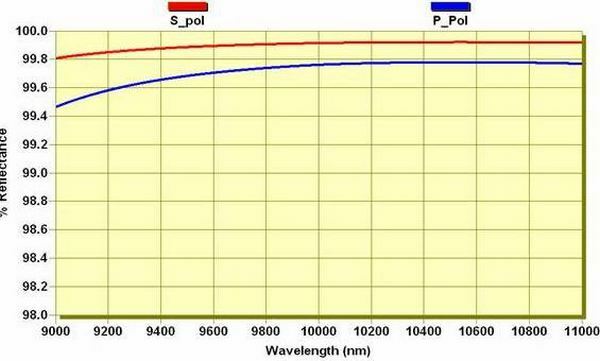 LBP Optics offer different enhanced metal coatings for standard wavelengths. This coating design is highly optimised for CO2 laser lines, 10um – 11um, other wavelengths such as "telecom" or 1 micron will need coatings optimised for that particular spectral region.